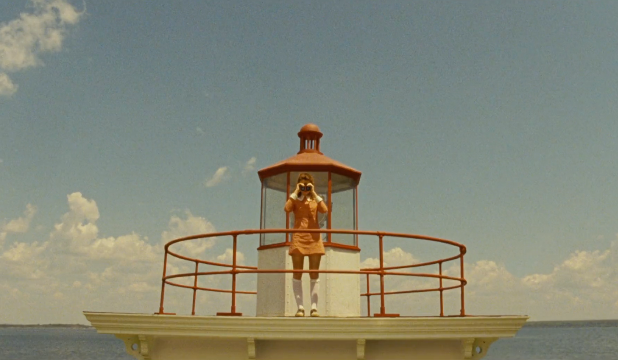 Wes Anderson has an instantly-recognizable style. He is peculiar and particular. He loves to move the camera laterally and often shoot characters or objects in the center of the frame. His films are very twee and for each one he has a specific color palette. While the colors are bright, the characters tend to be muted. The comedy is constant but always very dry. This somewhat small bag of tricks is also undeniably appealing. His films always create a nice, welcoming atmosphere for audiences. The sentimentality within them is often present — but it is never saccharine. The heart within them is often subtle and reserved. He has a small repertoire of actors he likes to recycle—including his college roommate, Owen Wilson — but his films never get stale. He’s easy to parody — and often is — but nothing comes close to the real thing. There’s something unquantifiably special about his films, and below are the best of his work so far. 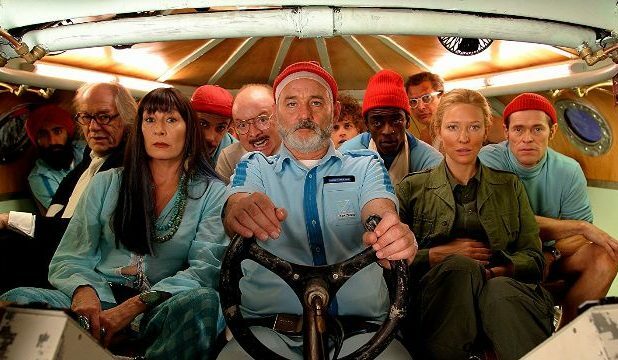 This is the quintessential Wes Anderson film because it displays what the fountain of comedy and tragedy he is capable of finding in dysfunctional families. Gene Hackman plays Royal Tenenbaum — the strange and long-absent patriarch of a once-famous family of kid geniuses. His return and subsequent attempt to make amends with his now-grown children shakes up their lives as well as everyone else’s around them. 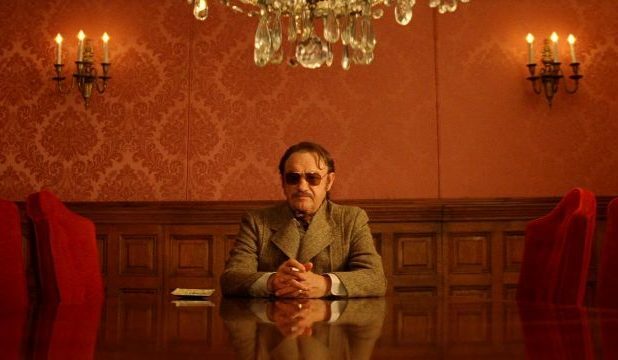 It features a star-studded cast with great performances and for anyone unfamiliar with Anderson’s work, The Royal Tenenbaums is the best place to start. Bill Murray plays some role in every one of Wes Anderson’s film — save for his directorial debut Bottle Rocket. However, in this particular film, Murray is front-and-center. He plays the eponymous Steve Zissou — a Jacques Cousteau-inspired oceanographer. He finds himself in a strange relationship with the sea and everyone around him after his partner is eaten by a rare breed of shark and he swears revenge, with a jealous sidekick, a pregnant journalist and a man who may or may not be his illegitimate son amongst his crew. Anderson’s affection for miniature effects and stop-motion animation are used to great effect in the thoroughly enjoyable film. 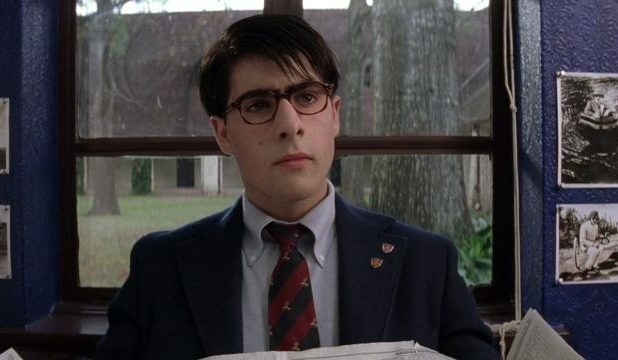 In his first film role, Jason Schwartzman plays Max Fischer, the protagonist of this coming-of-age film. Max is a gregarious young playwright and academic underachiever. As an unwealthy student who was admitted to a private school on his writing ability, his tenuous enrollment at the school becomes even more tenuous when his and a local businessman’s budding friendship becomes a competition for the attention of a widowed teacher. Along with being grounded and satisfying from start to finish, Rushmore is also my personal favorite Wes Anderson film. Purchase now on Amazon for $23.91. Like The Royal Tenenbaums before it, this film examines the nature of a dysfunctional family — but this one spends the bulk of its runtime focusing on the relationship between siblings. 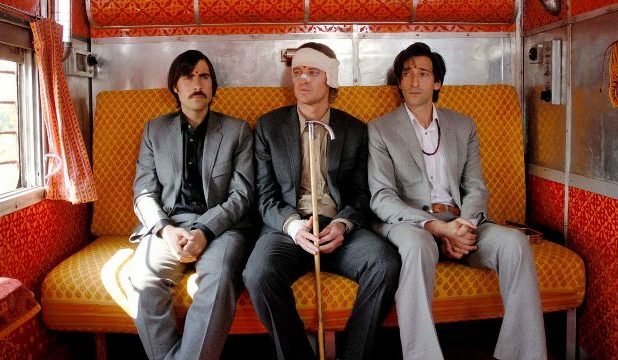 Three brothers — Owen Wilson, Jason Schwartzman, and Adrien Brody —meet in India at the behest of the eldest. The three have not spoken since their father’s funeral, a year previous to the setting of the film. Now they must share a small train car as they travel across the subcontinent. Antics ensue as they are forced to work through the loss of their father as well as the dramas in their individual lives. It is one of Anderson’s most emotionally affecting pieces. 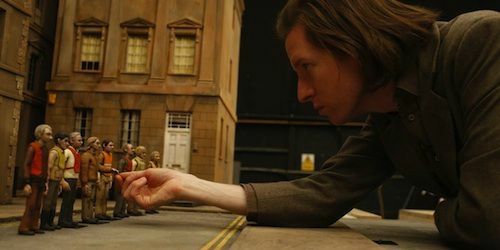 As Wes Anderson’s career has progressed, he has committed further to his particular style — each film more quaint than the last. His sets look meticulously-constructed diorama. In Moonrise Kingdom, he even had an entire house constructed sans back wall; a life-sized dollhouse so that he could easily pan from room to room. It’s a story about young love between two troubled kids—one of them a forgotten child of estranged parents, and the other an orphan. They send their entire small northeastern island into chaos by running away together, all while a storm moves ever closer to the tiny landmass. The film is sweet and the heart feels very real, even as Anderson’s films look increasingly like living dollhouses. Purchase now on Amazon for $26.19.